On July 26 was the 11th evening of impeachment protests outside the White House. 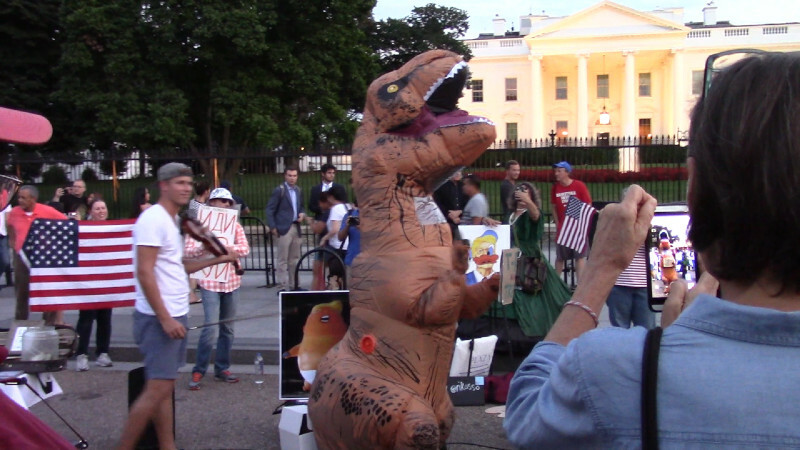 This time around featured an electric violin and one of the famous T-Rex costumes first seen in the Jan 11, 2017 protest against confirming former Exxon CEO Rex Tillerson as Secretary of State. 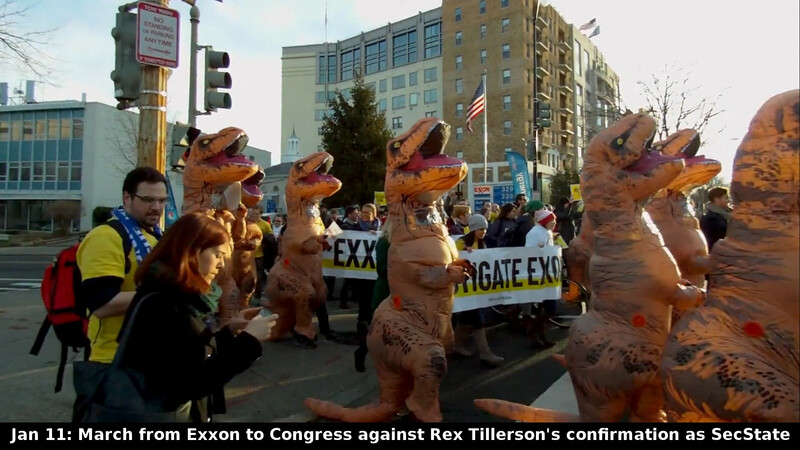 Some of the T-Rexes have really been around the block since then, showing up in the 2017 Science March and later protests. Now one of them is seen at Occupy Lafayette Park. Interestingly, Rex Tillerson (the man in whose dishonor they were made) himself had significant illegal ties to Russia, just like Trump. He was fired in March 2018 as Secretary of State, but not before his name came up in an investigation of Exxon's violation of sanctions imposed on Russia by the Obama administration. 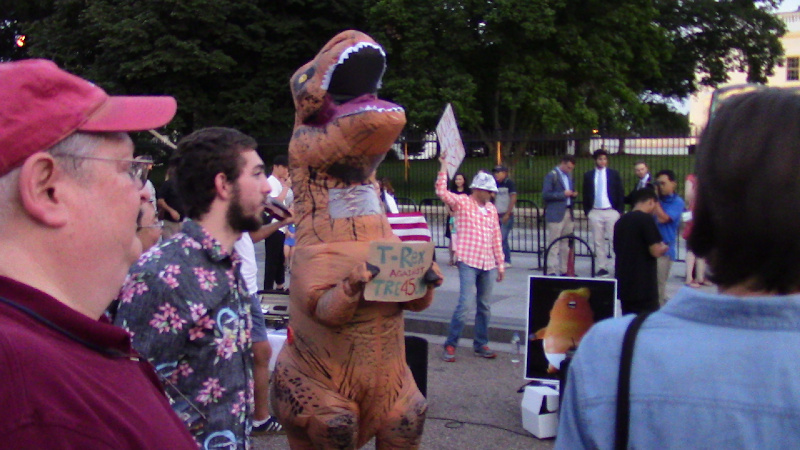 The theme of the T-Rex on July 26 was "T-Rex against Treason." The Occupy Lafayette Park organizers holding that Trump is guilty of treason for soliticiting the help of Russian dictator Vladimar Putin to intervene in the 2016 election on his behalf. The joint press conference with Putin denying this interference was seen as the last straw and a blatant doubling down on the original crime. Although this is a minor offense compared to ripping screaming children from the arms of their parents on the border, "Putingate" seems to have grown legs with some elements of "mainstream America" that now have had more than enough of Donald Trump. Any reason for removing Donald Trump from office is a good one.